Happy New Year 2010 to everyone! 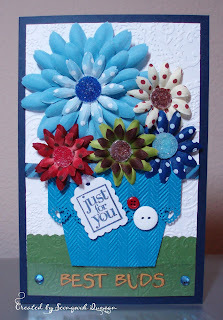 I made this card with a new freebie digital image offered by Alison of SNB. I stamped thinking of you instead of love because of hearts already in it. Operation Write Home's Valentine's Day card due date is Jan. 5, 2010 and I already shipped them so I am going to make more of these for general thinking of you card in January with my work colleagues. This is going to be perfect. I made this card for one of my best friends whose daughter is a ballerina. The image is from Mo's Digital Pencil. 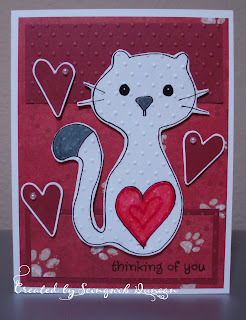 I made this card for one of my best friends who loves cats. The image is from Phindy's Place. I made this birthday card by using Mercy's Tuesday Sketch Challenge #51. I have a Card Making Event for Operation Write Home tomorrow during lunch time at work. I need to make some sample cards for my colleagues. I think this can be a good one. Yeah~ today was the last class and we completed the CMC Project 2-Waterfall Cards. It was an exciting challenge for everyone over the last three weeks. Cool! I made this card for the first time to enter the Mojo Monday - CONTEST. Card size: 7 1/2" x 10"
This is a A9 size (5 1/2" x 8 1/2") card. For my YTB (You are The Best) friend at work, I put my heart on this card with lots of flowers as much as I could because we couldn't bring flowers to him. Wishing him get well soon. I used a napkin for the background paper of this card. When I first saw it at someone's birthday party at work, I thought it is beautiful and could be a nice background paper for a card. I peeled off the napkin to get the one thin layer of printed paper. I cut a cardstock and ran it through the Xyron 500 to get adhesive evenly when I put the napkin paper on. I coated the surface with the Mod Podge and let it dry for a while. It turned out very well. 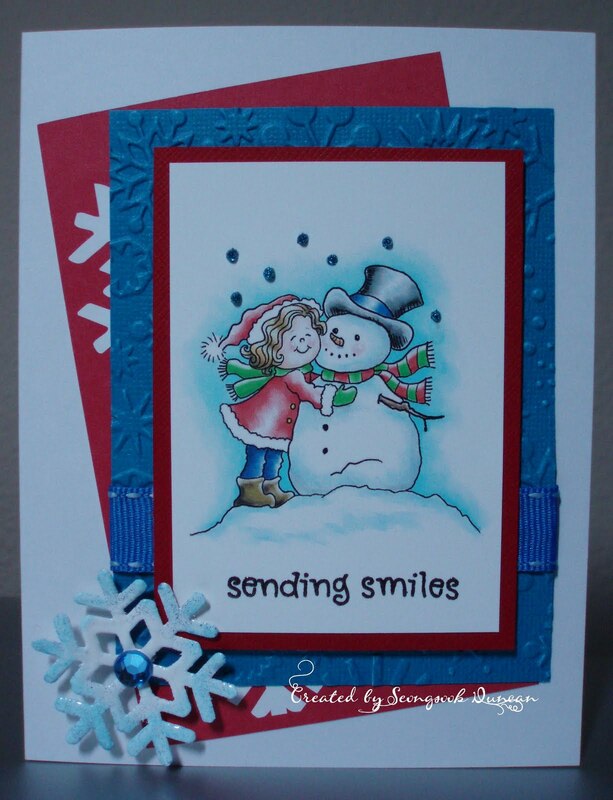 This snowman image is from the Digi Kitty. I stamped the sentiment - I miss You. For the snowflake, I did heat embossing three times with white EP and chalk inked the edges. I love this image that I got from the Digital Delights by Louby Loo. It's a freebie until Nov. 30 and this is the link. 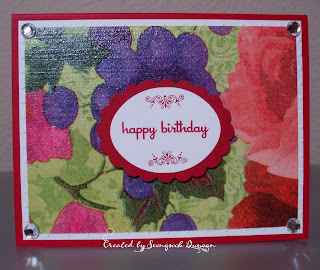 I made this card by stamping images repeatedly for the background and using the Embossing Powders that I received from Andrea. The photo didn't come out well though. Happy Thanksgiving to everyone! And I like to share what I found this morning from ScrapNgal site. Enjoy this free pdf download with Thanksgiving word art!